One Call. One Handshake. One Vendor. Welcome to Lockwood Moore Inc.! We have handled the needs of businesses throughout the greater Reno area since 1975. At Lockwood Moore Inc., we got our start by selling and servicing electronic calculators. We then added electronic typewriters, processing systems, and then PCs and PC networks. Eventually, we added computer & printers. 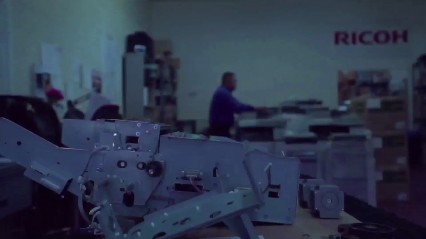 When you need a one-stop solution for copy machine sales and service, look no further. We offer and represent the best brands and service in document management, data backup storage, network security, copy & print fleet management, specialized IT services . We are a certified Kyocera provider, and carry top quality brands such as Ricoh, Dell, and SonicWALL. Our copy machines are available at affordable prices, so you can get the top quality brands you want without the high end price tag. In need of repairs or IT services? Our team has spent decades in the industry. We can provide you with the knowledge, experience, & resources needed to integrate all your office technologies. Our mission is one call, one handshake one vendor. We can provide you with one predictable monthly invoice for all of your office technologies. To learn more about Lockwood Moore Inc., please contact us at (775) 525-6713. Copyright © 2018 nvcopiers.com All rights reserved.